I do like a quirky book. I was going to say I like a quirky book now and again, which is true, because I couldn’t read them constantly as their quirkiness would seem less special then. Wow, that was a bit long and complicated, sorry. Back to my point, I like a good quirky book and when I received an email from a new publishing house, Humpty Dumpty Publishing, asking me if I would like to try their first book ‘Topsy Turvy Tales’ I agreed in an instant and before long a lovely cloth bound book arrived in the post. 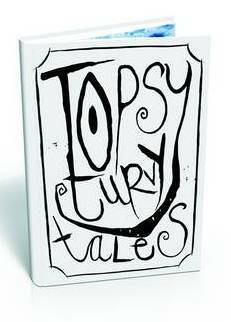 Charlotte Boulay-Goldsmith’s collection of ‘Topsy Turvy Tales’ do just what they promise on the tin, well on the book cover. 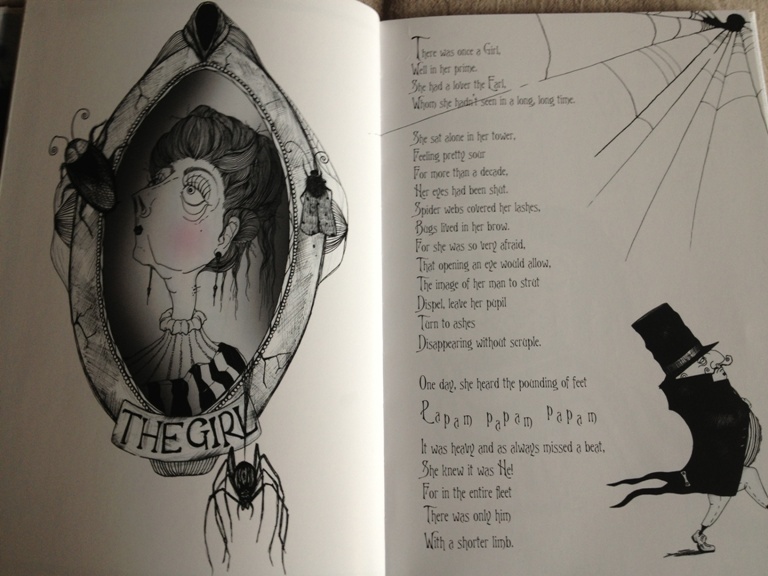 Here are four unusual almost fairy tales ‘Quest for the Head’, ‘The Girl With Liquid Eyes’, ‘Chester the Oyster’ and ‘The Man with the Stolen Heart’, told in verse and wonderfully illustrated by Laura Hyde. Each one is rather short and so I don’t want to give their stories away that said I do think their titles probably sum them up rather well enough anyway. What was lovely is that the first time I heard the tales was when The Beard read them aloud to me at bedtime, spoken they worked wonderfully but I must say it is with the illustrations that the tales come alive all the more and why I have put both author and illustrator in the title of my post because I think they are equally marvellous and work wonderfully as a whole. 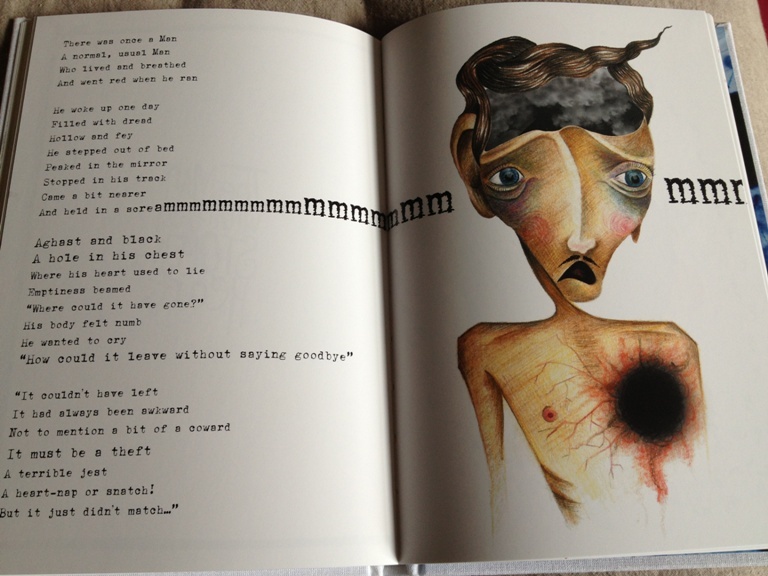 It really is a wonderfully collaborative collection. So if you fancy something quirky (and do go and see the publishers website for even more quirky gifts, I want that Humpty Dumpty on a wall bag) for yourself or as a special little gift (I nearly mentioned a gift for C********, I have seen season treats in the shop this week, eek) for someone who likes a twisted, or should that be topsy turvy, tale then you couldn’t go wrong with this I don’t think. With its images and the lovely cloth bound feel it really is an object of joy as well as a book, I wouldn’t mind seeing more hardbacks come out in this style. I look forward to what Humpty Dumpty decides to publish next – not something I expected to be saying.